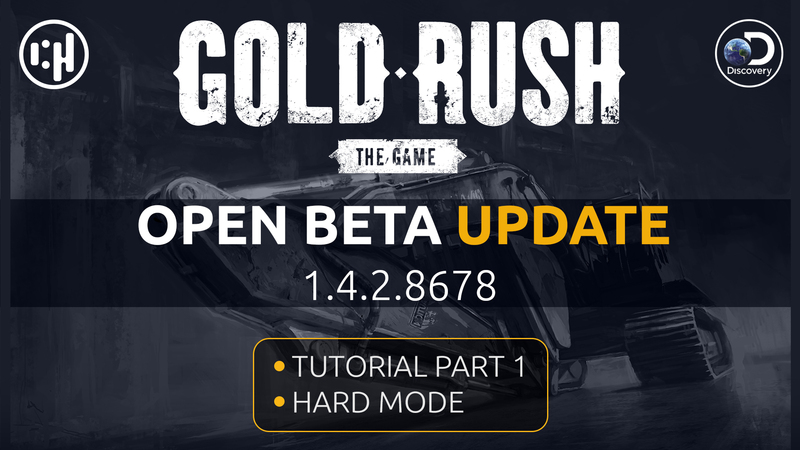 Update 1.4.2 – Tutorial and Hard Mode are LIVE! Brand-new features for new and experienced players! It’s time to push your skills to the limits! You start with nothing, but a dream of becoming a successful prospector. With enough dedication, nothing will stand in your way of making your American dream come true. WARNING: Only for the toughest miners in the industry! 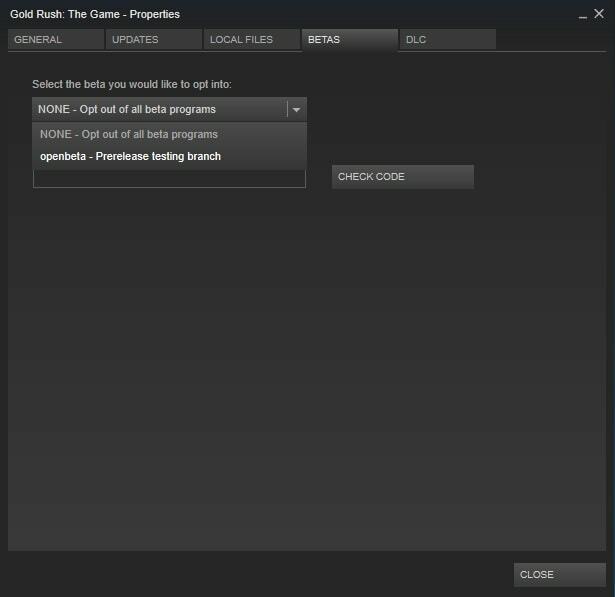 New Game starts with 0$. Added Tier 1 tutorial notifications. Added sunbeams (/god rays) highlighting necessary Tier 1 items. Made certain DigTube videos obligatory to watch, when using an item or a machine for the first time. Added possibility to turn off Tutorial in settings. Pickup tires no longer break after restoring the vehicle. Fixed stakes’ collision issues near Warehouse. Tools names are now displayed in the toolbar. Added sounds of breaking parts. Increased durability of teeth and hydraulic hoses. We’re introducing some changes to the upcoming Hard Mode. Lowered minimum loan in the Bank. Increased amount of gold on small digging sites. How do you like it so far? Is it challenging enough? Tutorial Part 1 Open Beta Update is here! Try out the new features before the release. Tutorial Part 1. Fans of Gold Rush TV Series know that beginnings can be tough. Each one of us had been a rookie miner before our gold mining operations started to prosper. That’s why we have added a Tier 1 tutorial for new game players. With a little guidance, you’ll be able to make your American dream come true in no time. Hard Mode. Push your gold mining efforts to the limits. With increased difficulty, your skills will be put to the ultimate test. No guts, no glory! Hard Mode can be enabled in Settings on an existing save. 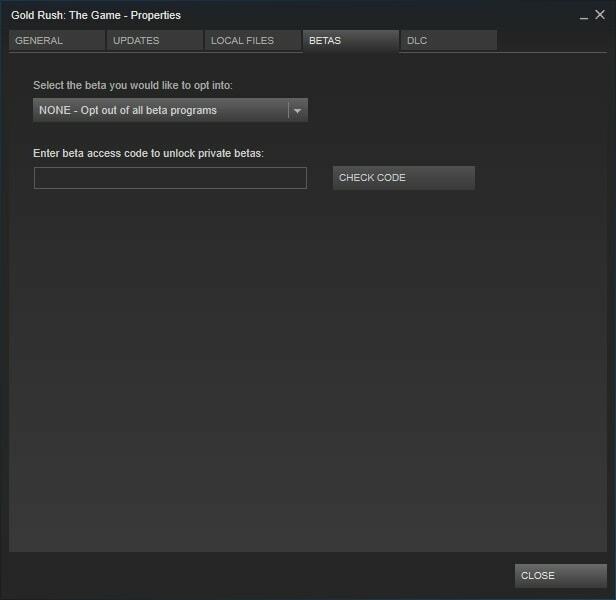 Open Beta branch is a voluntary option and it may not reflect the quality and content of actual Update 1.4.2. Pickup tires no longer break after restoring. 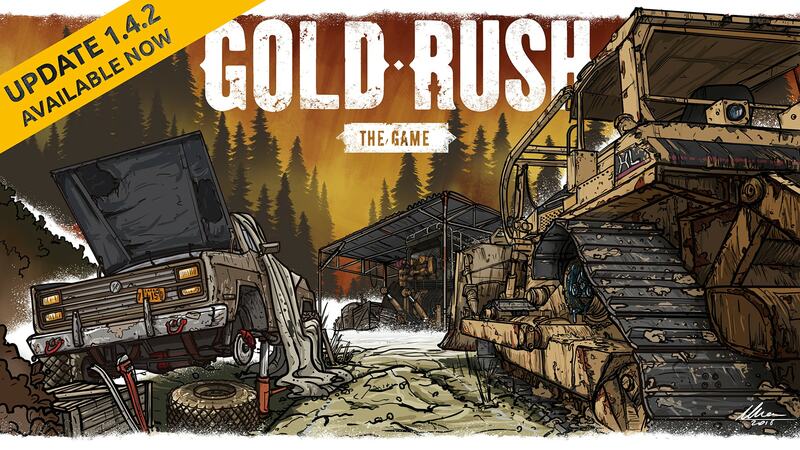 Looking for information about Gold Rush: The Game? You’re in the right place! Important news and links below. 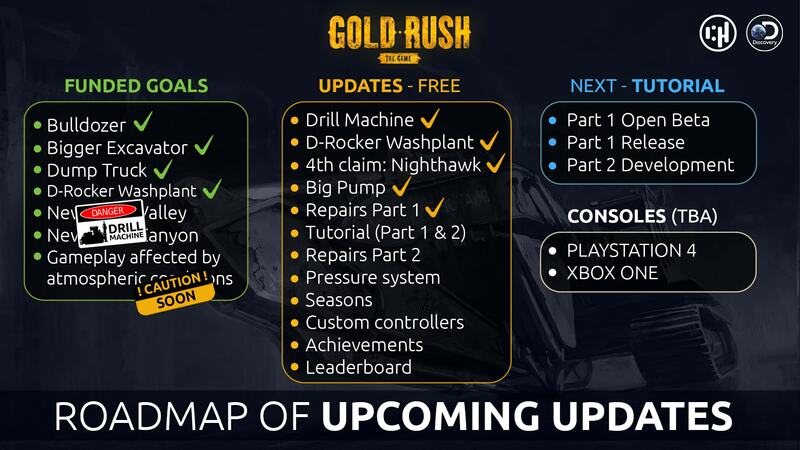 We’re currently in talks with console publishers to bring Gold Rush: The Game to PS4 and Xbox One. Once we have a solid release date set, we’ll definitely announce it on our channels! We’re working on tutorials for new players. We have received feedback, that the beginnings are quite tough for rookie miners. Tutorials are the next step (after the updates to the Journal and the DigTube) to give everyone a proper head start. You can expect an Open Beta update (this formula has proven to be really effective) followed by the live update. More information in coming days. DigTube -> when in game, press [TAB] and select “DigTube” tab. Journal -> when in game, press [TAB] and select “Journal” tab. Why is the Drill Machine in Kickstarter Tab, if it hasn’t been funded? Machines’ battery issues have been resolved in today’s hotfix. We’re as always grateful for your reports! Added possibility to Enable/Disable failures from in-game Settings when using a gamepad. Fixed issues with missing terrain texture after disabling GPU Culling. Fixed Battery’s unnecessary failure, when a machine has engine and lights turned on during the sleep. Fixed Excavator’s bug, which prevented it from using after changing hoses. Removed Battery failures’ randomness on engine’s start. Removed easter egg drawing from a dirty car’s window. Fuel Filter will now break when trying to start an engine with an empty fuel tank, instead of immediately after attaching to a pickup truck with an empty fuel tank.